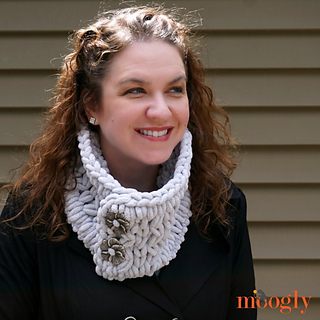 The Crossed Loops Cowl is a very special pattern - you make it with your fingers! 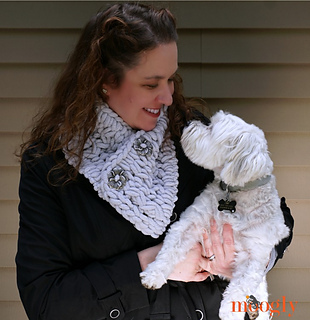 So you don’t have to know how to crochet or knit to make this quick and cozy free neckwarmer pattern! It takes just one ball of Red Heart Loop-It and works up in less than an hour once you get the hang of it. 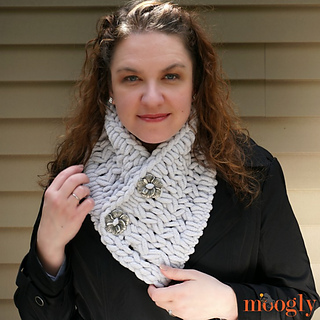 The Crossed Loops Cowl will make a fabulous addition to your fall and winter wardrobe - and I think it will be a popular gift this holiday season too! 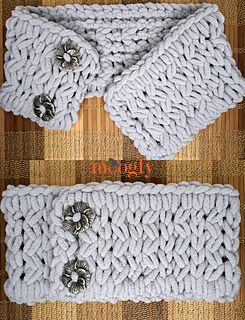 Since it is so unique, the video tutorial is included with the pattern! So I urge you watch the video tutorial before you begin. 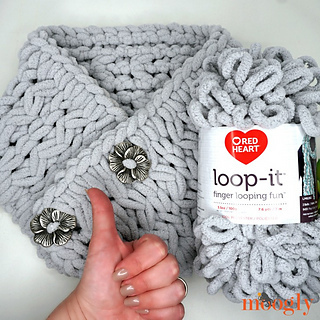 It’s a little fiddly at first, but by the time you finish your own Crossed Loops Cowl, you’ll have the hang of this fun yarn!